and will not be afraid to do difficult things. 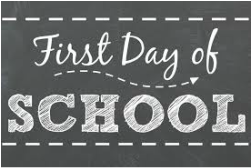 Find out what to expect for you and your student on the first day of school. Click here. All you ever wanted to know about supplies your student needs for success. Click here. Information about your student's homework requirements, and guidelines for increasing their learning at home. Click here. ​Reading Club - Come read for and with students and watch the joy of reading increase in both your and your student's life. MakerSpace - Our MakerSpace is a great place for exploration, engineering and imaginative learning. Be a "Tinker's Assistant" and be a helpful part of some 21st century learning activities. We also have an excellent and highly active PTA at the Ranch! Many opportunities exist for volunteering in support of their wonderful work. Click here to visit their website. ​By using some of the same strategies at home that we are using in the classroom, you can possibly make your life at home more peaceable. Check it out by clicking one or all of the following: Zones of Regulation (our CHAMPS support) and Whole Body Listening (our classroom rules). ​Content from The 7 Habits of Highly Effective People is a key component of the overall The Leader in Me process at Rancho Rosal. The 7 Habits is a synthesis of universal, timeless principles of personal and interpersonal effectiveness, such as responsibility, vision, integrity, teamwork, collaboration and renewal, which are secular in nature and common to all people and cultures. ​When everyone—teachers, students, and parents—begin using the same language, you get a compound-interest effect that is truly amazing. The 7 Habits create that common language. For example, what a difference it makes when everyone knows what it means to "put first things first" or to "seek first to understand" or to "be proactive." Leader in Me Schools often find their students using the language among themselves and with their parents: "I need to put first things first and do my homework before I play"; "I should have thought win-win"; or "Dad, you're being reactive." What's Happening at the Ranch & Around the District? Click here to connect to our school site webpage! ​Click here to connect to our school site and Pleasant Valley School District calendar!